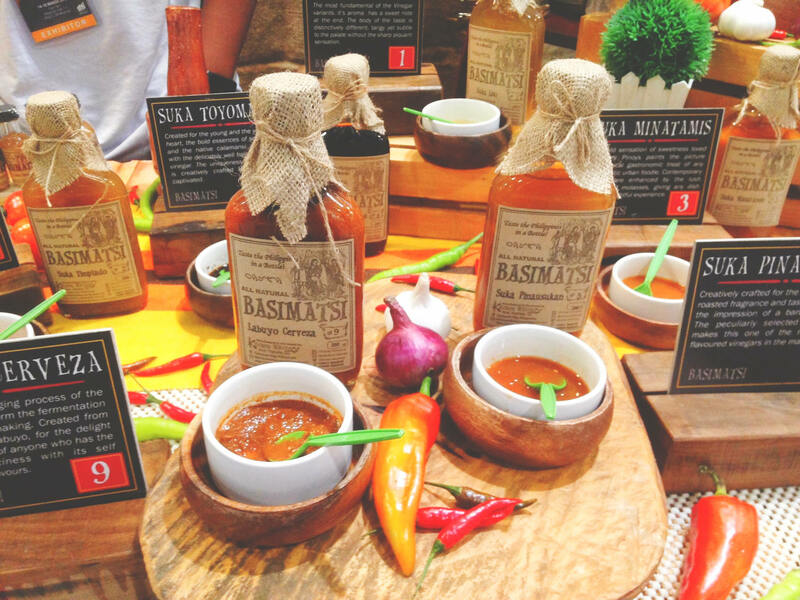 Foodies and local produce enthusiasts still have a chance to hoard great finds at the 2018 Sikat Pinoy National Food Fair at the Megatrade Halls of SM Megamall. The event commenced last March 14, 2018 and will run until March 18, 2018 (Sunday). 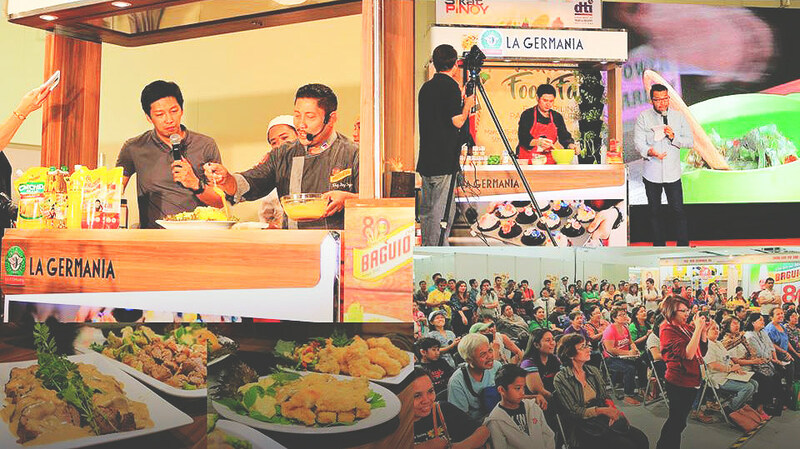 This food fair is perfect for those who are looking for a not-your-usual outing this weekend. 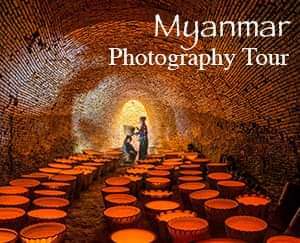 It is open from 10:00 AM to 9:00 PM and admission is free. Taking center stage are bottled fish and other seafood, processed meats, native delicacies, fruit preserves, locally-distilled liquors, and regional condiments, to name a few. There are also exhibitors who sell fresh, organic produce and cooked food. 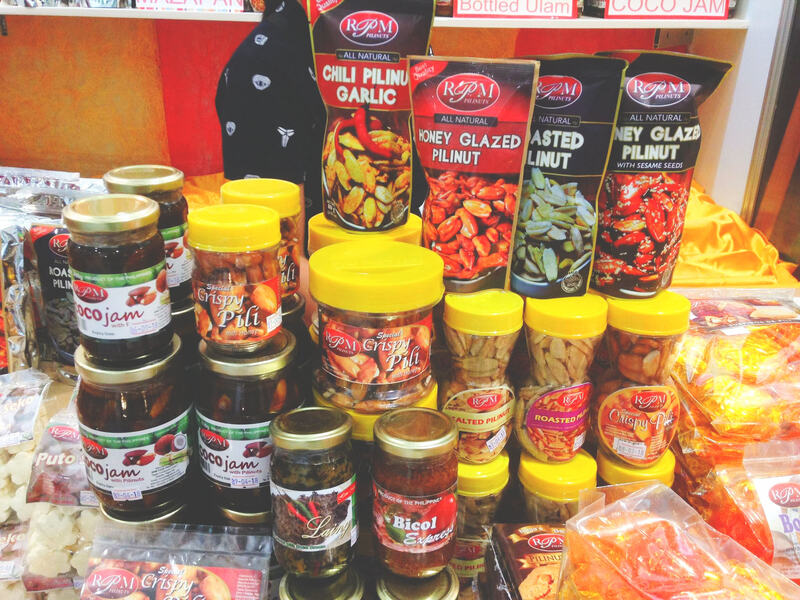 Other interesting sections of the food fair are the halal-certified products from nine regions of the Philippines, and a “kapetirya” that serve a selection of different coffee brews from different parts of the country. Free cooking workshops are also held daily. Last Thursday, the highlights of the day were talks about loan programs courtesy of the Development Bank of the Philippines, a cooking demonstration featuring healthy meat products for business, and digital payment technology that is fast becoming the trend in business transactions. Today, March 15, 2018, the Department of Science and Technology (DOST) will tackle Food Safety, and the rest of the afternoon will be dedicated to two cooking demonstrations sponsored by Sysu International, Inc. and Mama Sita’s (featuring Assistant Chef Philip T. Lim and Phye Yabut). 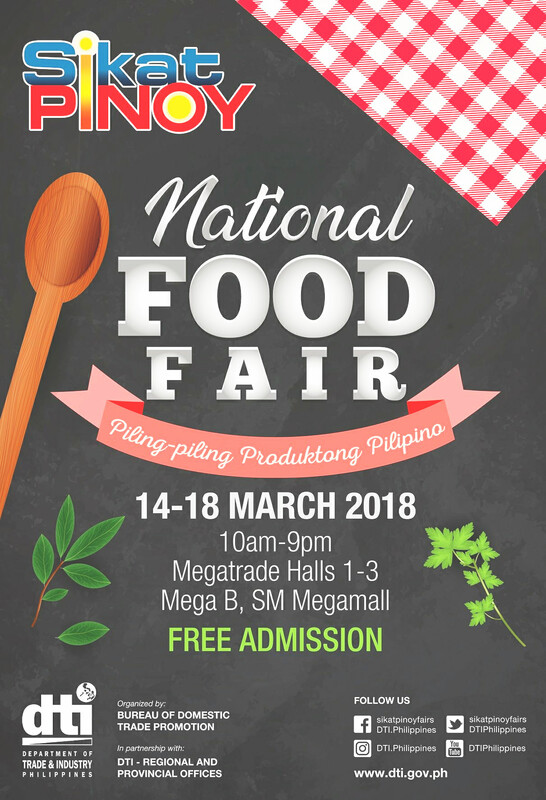 This coming Saturday, March 17, 2018, the activities lined up are the following: Simple Nutrients Addition Program (SNAP) Hydroponics by Pasay City cooperative Development Office, and cooking demonstrations by Chef Boy Logro and San Miguel Purefoods. On the last day of the event, there will be a lecture on Packaging Technology courtesy of FILPET, Inc., and cooking demonstrations by Chef Patrice Aguillo (Gardenia Bakeries) and Chef Luis Napoleon Sol III (Silver Swan). This yearly event is organized by the Department of Trade and Industry (DTI), and spearheaded by the Bureau of Domestic Trade Promotion (BDTP) and DTI regional offices. For questions, details, and other information, interested individuals may email the organizers at bdtp@dti.gov.ph or call phone numbers +632 751-3223 and +632 751-3228. Social media updates are available via @sikatpinoyfairs (Facebook, Twitter, and YouTube).